After more than 30 years since its having been founded in Mexico City, the Tepeyac Institute began its expansion process to different cities in Mexico. The campuses opened in Cuautitlán, Guadalajara, Xcaret and Santa Anita, has been very well received by the communities in each city. 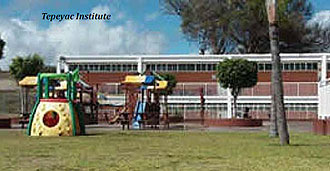 With the upcoming opening of the Puerto Vallarta campus for the next school year, in a modern setting, with first class facilities, the Tepeyac Institute is an institution with national presence that has managed to demonstrate, through each of its graduates, their professionalism, love and passion for the training of children and young people. With the combination of a beautiful port such as ours and an educational institution such as this, it will make Vallarta a better place to live and a society with more well-qualified people. The Tepeyac Institute is located on Av. Francisco Villa 1505, Primer Piso, Col. Fluvial Vallarta, telephone (322) 293-7953 or email infopv@tepeyac.mx. Founded in Tepic, Nayarit, in March 2000 by the Cultural Board of Trustees Vizcaya A. C., this is an institution that has had an important territorial expansion in recent years with 12 campuses in the country and a presence in more than ten cities located in the Northeast, Northwest and Western regions of Mexico. Today, talking about University Vizcaya speaks of excellence in the field of national education. The Vizcaya arrives to Vallarta with an academic project of quality, with the support of updated studies programs, according to the needs of the productive sectors. A high-level academic experience and career faculty contribute to strengthen their students' learning process. Vocational training is complemented with cultural and sports activities, summers of research, student mobility, conferences, travel studies, social events, artistic weeks, and the INTERVIZCAYA. 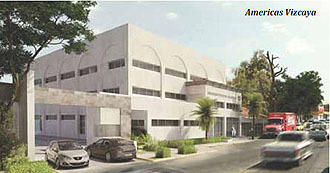 The opening of the Vallarta campus in September (in what used to be Cine Versalles at 799 Francisco Villa Ave.) represents one of the best college options in our city, offering 3-year degrees in Gastronomy, Architecture, Law, Psychology, Criminology, Education, and Accounting in their quarterly systems. Classes are held Monday to Friday with mixed classes only on Saturdays. With a humanistic vision and an entrepreneurial culture, enjoy one of the best stages of your school life with an educational experience that no doubt will leave a mark on you forever. Live the experience of being Vizcaya People! For more information, telephone at (322) 223-3112 and 225-2988 email is vallarta@uva.edu.mx. Visit the website here.